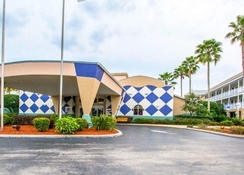 This spacious, family friendly accommodation is set in a good location to access the theme parks in Orlando, Florida. 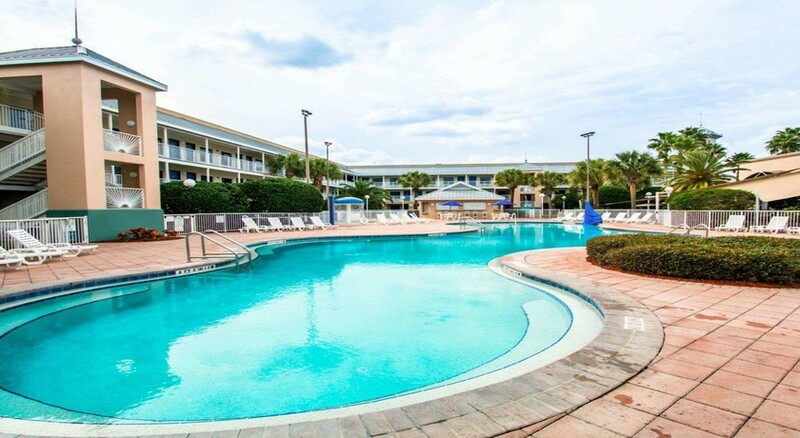 From Clarion Suites Maingate you can visit Walt Disney World Resort, Universal Studios, SeaWorld as well as other attractions such as Disney’s Boardwalk, numerous golf courses and shopping centres too. There is a free transfer service to some of the main locations including Walt Disney World Resort, Universal Studios and SeaWorld Orlando. 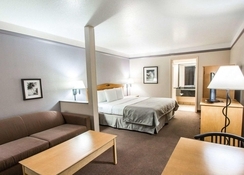 Clarion Suites Maingate is great for solo travelers, couples as well as families with children and the modern rooms, free WiFi access, on-site dining options and heated pool make it an attractive property in which you can explore the rest of the area. 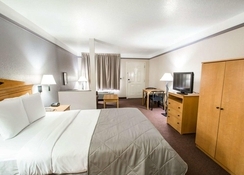 The Clarion Suites Maingate is located in Kissimmee which is close to everything Orlando has to offer while being slightly outside the hustle and bustle which means you can truly relax after a long day sightseeing and visiting the theme parks. There is a free shuttle service that guests can avail of and drops you at the Walt Disney World (5.2 miles), Universal Orlando (15 miles) and SeaWorld (9.7 miles). There a various opportunities for shopping too including Prime Outlets (7.4 miles), Florida Mall (17 miles) and Lake Buena Vista Factory Stores (9 miles). 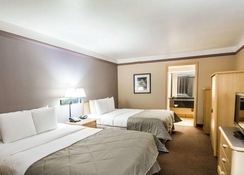 There are 4 room types available at the Clarion Suites Maingate. The Queen Suite features two queen beds as well as a sofa bed and can sleep up to 6 people, King Suite with pool view can sleep up to 4 people while the King Suite with sofa bed can sleep 4 people. 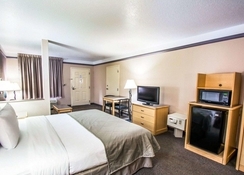 All the rooms come with coffeemakers, flat screen TV and fridges and there is also free WiFi access as well. At the Clarion Suites Maingate you will find Jumbo’s Eatery which offers a diverse menu and is open for breakfast, lunch and dinner. Pixie’s Java Café serves a range of different coffees and light snacks such as donuts and muffins and is open from 6.30am to 11pm. 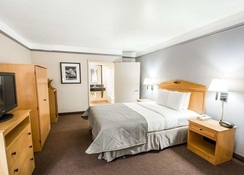 There is also a range of restaurants, bars and cafes close by to the hotel which includes Carrabba’s Italian Grill, TGI Friday’s, Subway and Taco Bell. Aside from the ease of access to get to the main sights and theme parks in Orlando, there is plenty to see and do at the hotel. This includes a large outdoor heated pool and an arcade room while Old Town theme park and Pirates Cove Adventure Mini-Golf. For any shopaholics there is the Formosa Gardens Village and Lake Buena Vista Factory Stores. The nearest golf course from the property is The Legends Course which is 1 mile away.